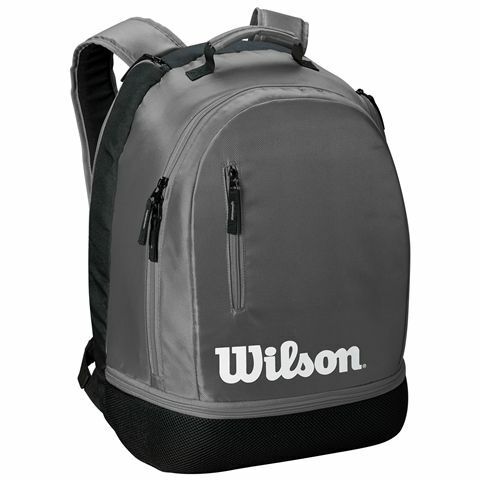 Offering a good amount of space for all court essentials with one main compartment, the Wilson Team backpack provides separate space with a special racquet compartment for up to two frames of your choice. 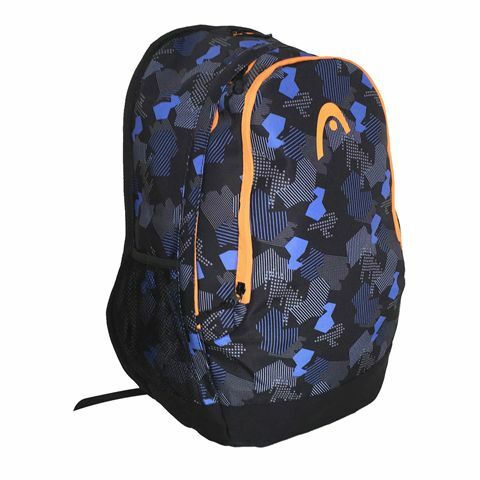 The rucksack includes a nice side zippered compartment for a water bottle, and a front zip pocket which is excellent for accessories and small items. For valuables and personal belongings, there is a dedicated internal zip pocket, as well as a key ring, and a bottom zip pocket made with shoes in mind. 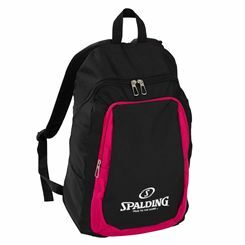 The backpack can be carried with padded adjustable shoulder straps or with a carry handle – both ways reliable and comfortable while commuting to the court. 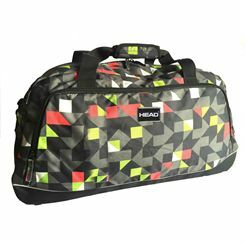 The Head Spectrum sports holdall is an eye-catching, colourful bag designed for sports enthusiasts and organized travellers. Great as an overnight and everyday gym bag, it provides ample space for gear, clothes and accessories and has a large main compartment, as well as front and back zipped pockets. Base rubber feet make it both solid and durable, while for easy and comfortable transportation, the holdall offers a carry handle and a padded, adjustable shoulder strap. 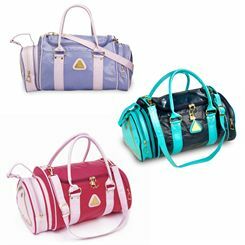 Plus, a sturdy design of the bag holds its shape well for added protection of your belongings. 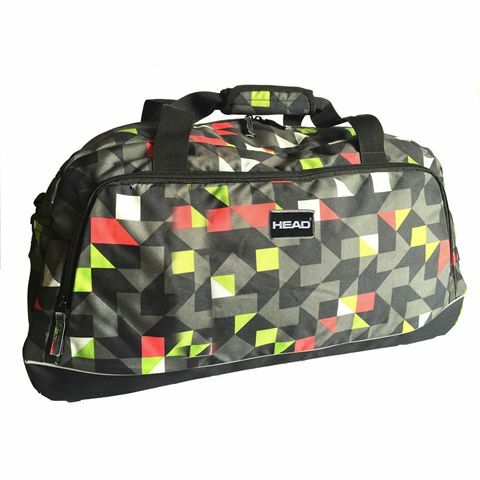 Sweatband.com offers a wide range of different sports bags such as holdalls, club bags or backpacks. Most of the holdalls have adjustable shoulder straps to make their carriage more comfortable. They offer a lot of space for sports equipment and clothes that you want to take with you to the gym or for a trip. Many of the club bags have been designed to carry laptop in a safe way and you can easily place in them some books and documents needed at school or in the office. 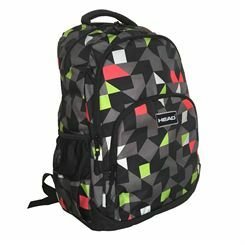 For those, who prefer to carry their items on both shoulders, there are many backpacks that have padded shoulder straps and are perfect not only to take to school, but also for walking or hiking expeditions. 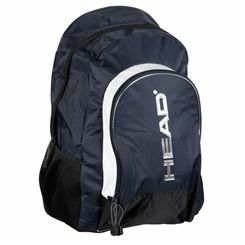 The bags come from leading manufacturers such as Head, Wilson, Dunlop, Lonsdale and more. Some of them have a modern sports design and some should cater for the tastes of those, who like classic or vintage style.